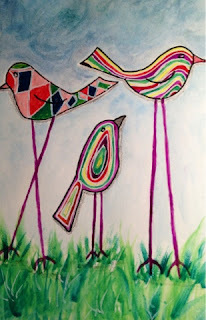 Birds from the stencil by StencilGirlProduts.com - had fun in my journal playing with the stencil, water colors, colored pencils and markers! 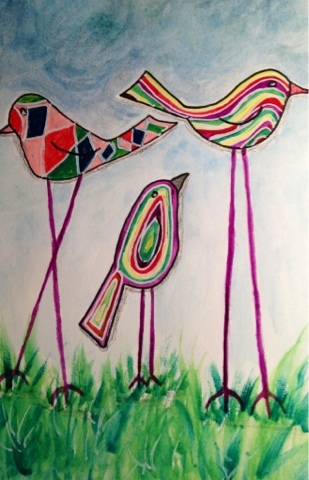 Thank you for the inspiration, Joanne Sharpe and Stencil Girl! Did you know that even though it says No Comment under this box, that you can actually click on those words and leave a comment? Wish people would. :) Critics are welcome! !